The GROHE Blue Home cooler is slim and adaptable making it simple to find the ideal space for it in your kitchen. 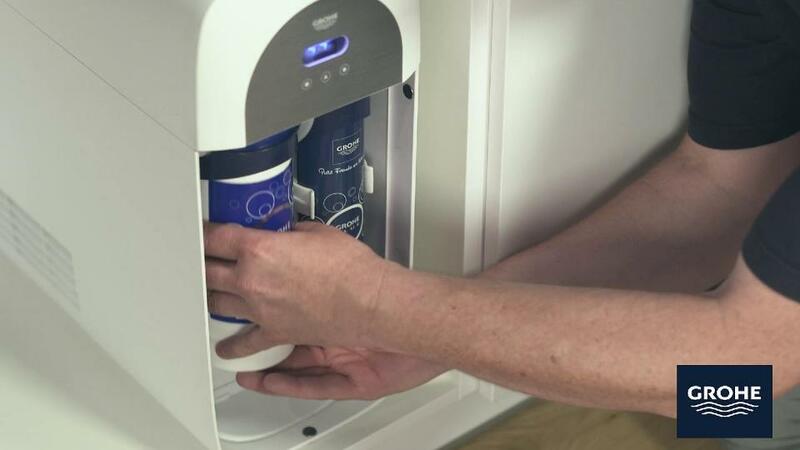 It can be fitted directly below the sink or within a radius of 2.5 meters. Watch the video for easy to follow instructions. You’ll be guided step by step through the installation process: from how to prepare your kitchen cabinet, drilling the ventilation hole, and mounting the fittings - to inserting the filter and CO2 bottle for the first time and adjusting the software. Done.Ready for some refreshment? Watch the video to see just how simple it is. 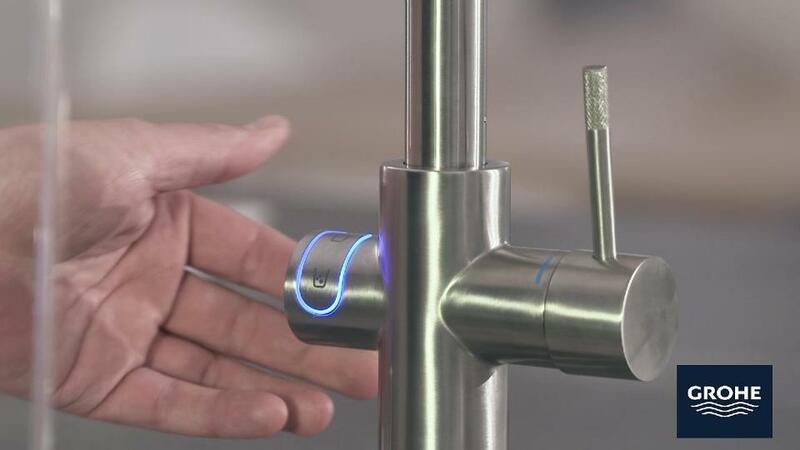 When the time comes to replace the filter, the display on the tap will alert you with an orange, blinking light. Watch the video for the simple guide. 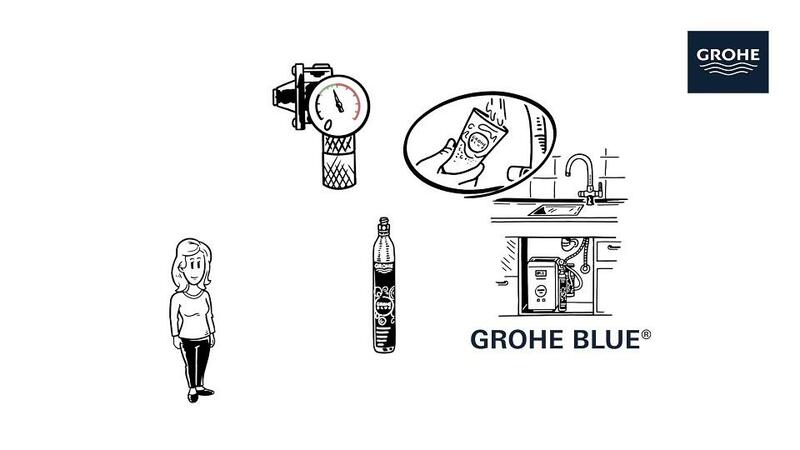 By registering your GROHE Blue Home now, you will benefit from one extra year of guarantee on your product! 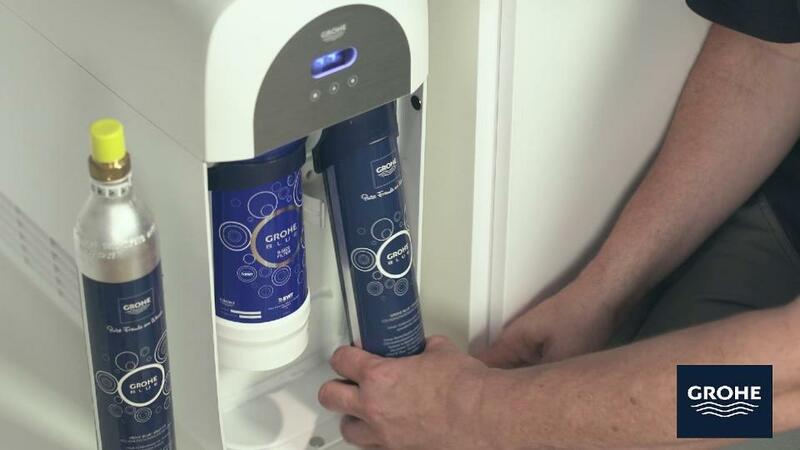 How to order the replacement CO2 bottles for GROHE Blue Home - and how to send the old ones back for refilling. It’s the environmentally friendly way to ensure that you never run out of bubbles in your glass.Just follow the easy steps in the video.